Hey, welcome to TappedOut :) Saw your forum topic asking for help. Very nice first deck. I'm here to give advice therefore I'm going to suggest a lot of upgrades. I hope this doesn't upset you as this is by no means a slight on your deck building. 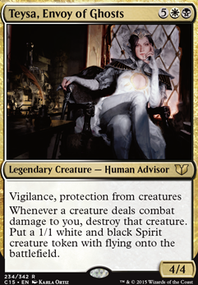 Orzhov is a really hot guild right now for causal Commander because of Teysa Karlov. Tymna is one of the best Orzhov creatures in Commander, but to abuse her ability you want evasive creatures because they have to do combat damage to opponents to draw cards. Consider expanding on the theme of tokens, Spirit tokens (afterlife) and other flying tokens/creatures? Tokens are good with Teysa as well as Ravos since he's an anthem. 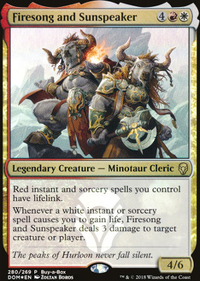 Teysa gives tokens lifelink which is helpful to regain life after losing it to draw from Tymna. Reliquary Tower : staple land, no max hand size is helpful when playing and utilizing Tynma as well as Skullclamp. Luminarch Ascension : powerful card in multiplayer Commander since it looks at each opponent's end step. Repeatable source of 4/4 flying tokens is amazing. Doomed Traveler : combines with Skullclamp and Teysa to draw lots of cards. Tithe Taker : same as Traveler as well as makes it harder for your opponents to cast spells or activate abilities during your turn. Aven Mindcensor : staple white creature, tutors are a huge part of Commander this prevents your opponents from using them effectively. Flying helps with Tynma. Reveillark : staple white creature, combos with Karmic Guide and is very good with Teysa. Can reanimate Teysa/Tynma as well as creatures with afterlife. Good with recursion of Ravos. 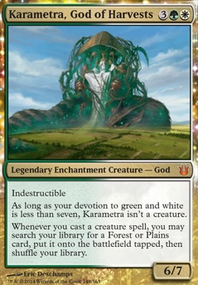 Karmic Guide : staple white creature, combos with Reveillark to reanimate lots of 2 or less power creatures. Good with recursion of Ravos. Blind Obedience : helps to clear away some blockers to do combat damage to opponents. 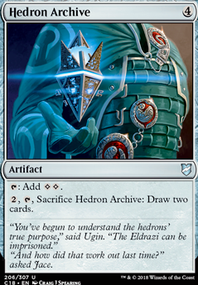 Mana rocks are huge part of Commander and this prevents your opponents from using rocks the turn they play them. Extort is nice to gain some life and make opponents lose life. Spirit Bonds : repeatable way to make flying tokens. Edgewalker : Tymna and Ravos are Clerics this reduces their mana costs. Tymna costs only one mana and Ravos three mana. There's also a lot of other Clerics here. Pitiless Plunderer : creates treasures, very good with Teysa and a sac outlet. Works with tokens. Ayli, Eternal Pilgrim : sac outlet and repeatable exile. With Edgewalker she's free to cast. Soul Warden : gain life when creatures ETB (enter the battlefield) even opponents creatures, tokens ETB when they're created. Soul's Attendant : same as Warden. Sun Titan : staple white creature, reanimate any 3 or less permanent when ETB or attacks is great. 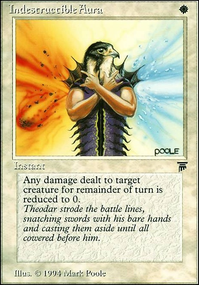 Swords to Plowshares : staple white removal, exile is very helpful in Commander. 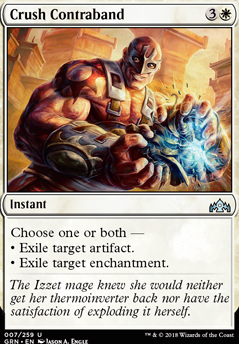 Crush Contraband : exiling any two artifacts or enchantments at instant speed for four mana is good. Orzhov Signet : two drop mana rock.